Pelican Bay homes are reflections of the luxury and elegance that Pelican Bay is especially known for. There are many neighborhoods that complete the Pelican Bay community however there are only ten comprised of custom built homes. Each is unique in its location, character and quality. The ten single family neighborhoods in Pelican Bay are characterized by timeless architecture that comes with various high quality modern features and providesf one of a kind comfort to their owners. Pelican Bay offers the best amenities and activities one could wish for in Gulf side living. 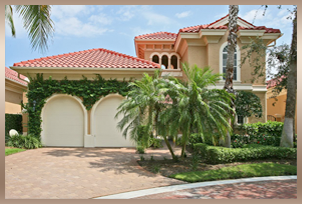 The community is one of the most sought after in Naples. Many of the older existing homes are being purchased and completely remodeled to today’s luxury standards representing the residents own style and personality. I can guide you through the process of selecting an architect, interior designer and builder in order to create a home that represents your lifestyle and tastes.